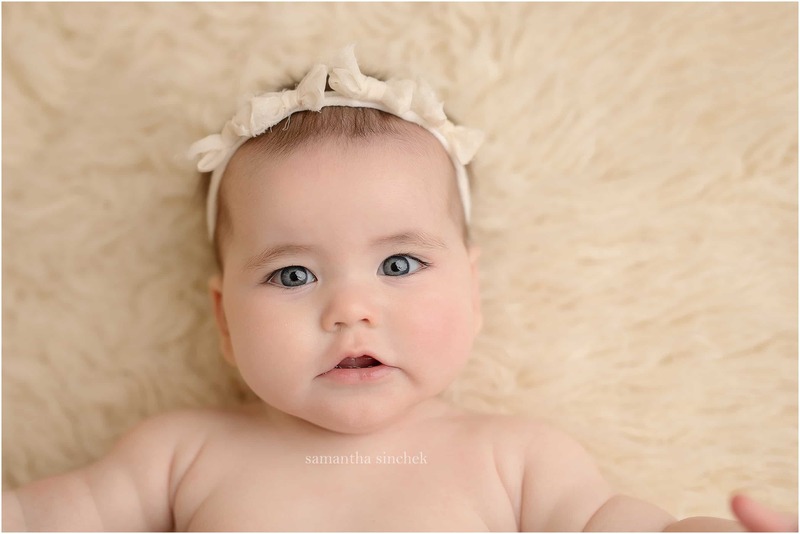 It’s hard to believe sweet Ella is already 8 months old when she was at my Loveland, Ohio studio a couple weeks ago. She was so sweet and just look how adorable she is!! I love when my newborn clients book a milestone session so I can watch them grow their first year! If you’re looking for a milestone package (newborn, 6 month, 1 year cake smash) photographer, message me today to book your session!